Download a complimentary copy of the report to help you choose the right partner to manage your mobile ecosystem. Enterprise spending on mobile device outsourcing is expected to grow from $4.8 billion in 2017 to $8.2 billion in 2021, which is an 88% increase. To build and sustain their mobile assets, infrastructure and operations leaders should demand more from providers when developing their sourcing approaches. Stratix Rated among 3 Highest in Gartner’s Critical Capabilities for Managed Mobile Service Report. Stratix scored highest in the Resource and Cost Visability and Control Use case, second highest in the Mobility Outsourcing Use Case and tied for second highest in the Business Extension and Transformation use case in Gartner’s 2018 Critical Capabilities for Managed Mobile Services, Global report. With over 35 years of mobile experience, Stratix has become the largest pure play Enterprise MMS provider in the US. Focused on providing unparalleled program management, our portfolio of services has enabled some of the largest global brands to rapidly operationalize, scale and deliver on their mobile strategy. Download a complimentary copy of the Gartner Critical Capabilities for Managed Mobile Services Report. 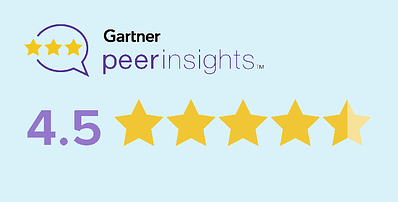 Gartner Peer Insights reviews constitute the subjective opinions of individual end users based on their own experiences, and do not represent the views of Gartner or its affiliates. The Gartner Peer Insights Logo is a trademark and service mark of Gartner, Inc., and/or its affiliates, and is used herein with permission. All rights reserved.